The Taliban House mix by Wez G was created in 2009 for the Global Intelligence Data Services (GIDS) company which at that time was in Afghanistan for operations against the Taliban and in support of the Afghan Government. This mix was played on the choppers while going into operations. In a very first, the GIDS Radio Station (click here) on KryKey.com streamed this through their satellite system on the helicopters. This mix has been tested under battle conditions! 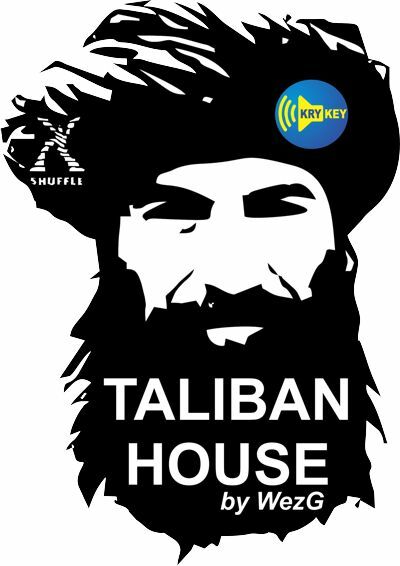 The opportunity to win a Taliban House t-shirt is on offer this week by KryKey.com by guessing the Top 4 radio stations in the new ranking after midnight this Saturday. To enter go to the KryKey Facebook page and leave your guess on the post (click here).